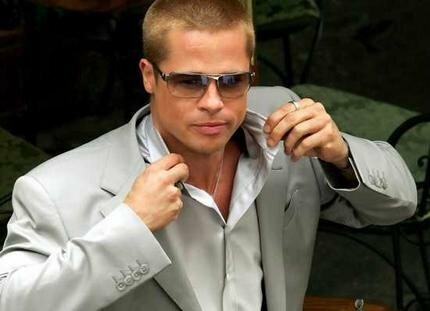 Don't take it personally if Brad Pitt doesn't remember who you are. Photo from Brad Pitt Facebook page. PLEASE note that Brad Pitt is not dissing you or otherwise being a jerk. There is a perfectly logical explanation, besides his self-diagnosed prosopagnosia, that he can't remember you to save his life. His forgetfulness may have more to do with his gender than the aforementioned brain disorder that causes face blindness. Research from Canada’s McMaster University contends that women remember faces better than men because unbeknownst to them they pay more attention to the features of others. It is not likely that BP’s partner, Angelina Jolie, has this issue and the resultant fallout. "So many people hate me because they think I'm disrespecting them," BP disclosed to Esquire magazine in an interview promoting his new film, “World War Z, about a zombie pandemic that threatens to destroy the world. 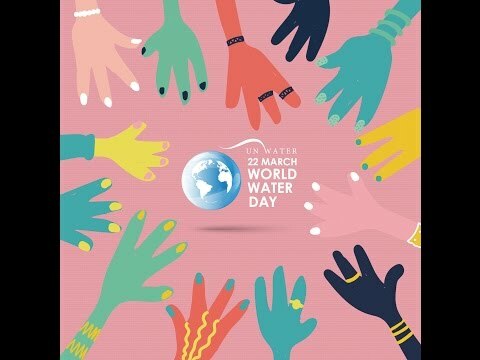 The film had its world premiere in London on Sunday (2 June), premiered in France yesterday, and will continue its rollout across the globe later this month through mid-August. (See video above). Continued BP: "Every now and then, someone will give me context, and I'll say, 'Thank you for helping me.' But I piss more people off. You get this thing, like, 'You're being egotistical. You're being conceited.' But it's a mystery to me, man. I can't grasp a face, and yet I come from such a design/aesthetic point of view." Participants in the McMaster experiment were shown faces on a computer screen while eye-tracking technology took note of where – eyes, mouth, nose – they looked on an individual face. Each face was given a name that participants were tasked with remembering. Basically, women paid more attention and had more recall. 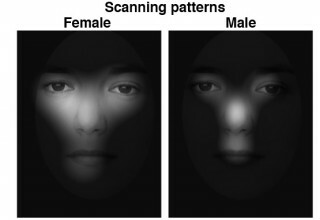 Scanning patterns of a female and a male when viewing the same face for the first time. And it can also be taught. To that end, BP need not despair. Indeed, he and others similarly afflicted can be taught a few techniques that will improve their face recognition abilities. A few scanning exercises may be just the thing to get BP out of the house more often. He also revealed to Esquire that he doesn’t venture out much for dread of encountering yet another face he does not recognize. Not exactly a sustainable face-saving technique.